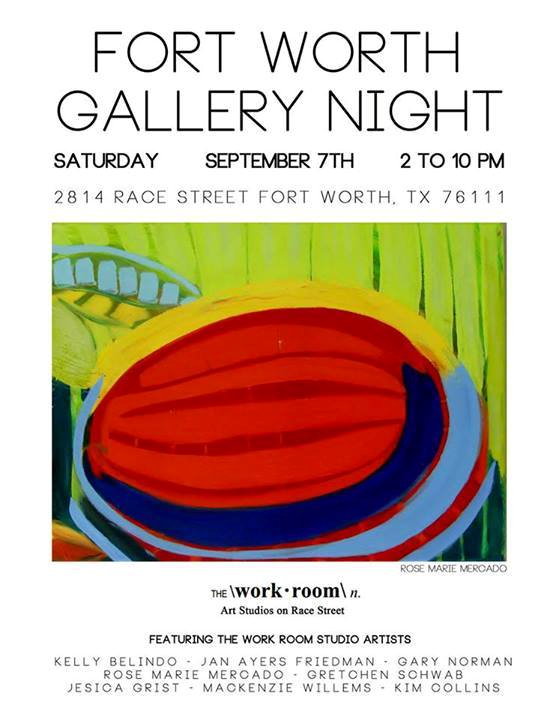 Oakhurst Neighborhood Association, Fort Worth, Texas: This Saturday: Fort Worth Gallery Night! The good folks at the Riverside Arts District (building owner Flora Brewer, manager Debby Stein, and many more) on Race Street invite us all to come out to Fort Worth Gallery Night from 2-10pm TOMORROW (Saturday). This will be great—come join your Riverside neighbors! Park your car, bicycle, or scooter, and stroll Race Street for a fun night of art, food and lively conversation. There will be neighbors in the garden with antiques and re-purposed/recycled items. Also, see the new recycled metal installation between 2814 and 2902 Race Street by artists Lori Thomson and Gary Norman. 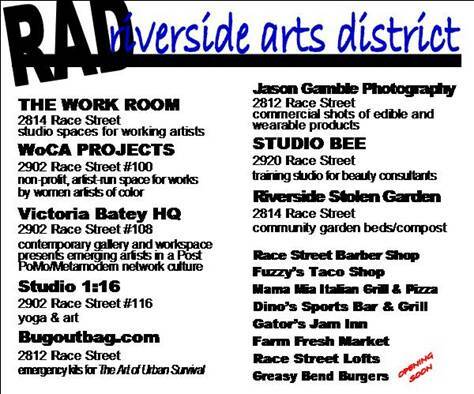 Get a peek of their work at www.facebook.com/riversideartsdistrict! A lot has happened since the "Build A Better Block" event a year ago. Congratulations and thank you to all who supported RAD and made it all happen. Stay tuned. There is more to come!